Get Your Green On for Colorado State University! We are looking for community ambassadors to volunteer as we strive to deliver the nation’s best game day experience. 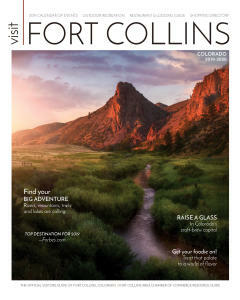 This is our opportunity to ensure each visitor has an extraordinary experience while in Fort Collins. Training, game day field book, maps, transportation tips and Visitor Guides will be provided to all volunteers. Volunteer for a single game or multiple game days. Volunteers will receive a game day ticket and parking pass for each game. Sign up for a three game minimum and receive a CSU polo shirt.